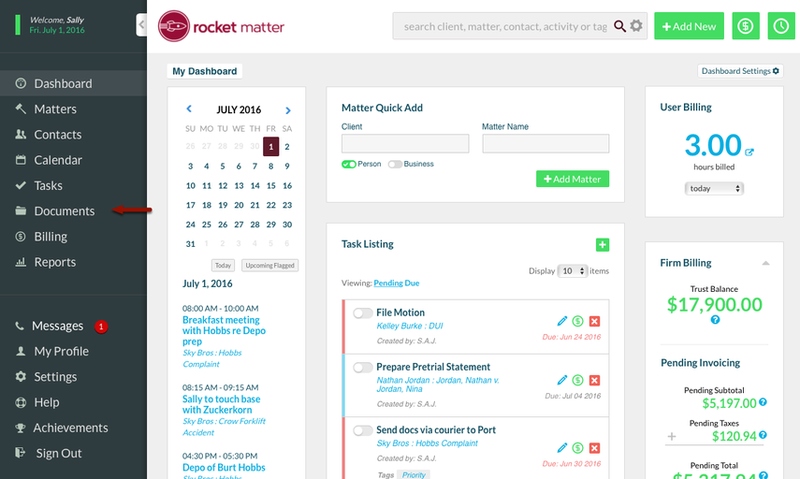 Rocket Matter Knowledge Base DocumentsHow to upload a Folder with Documents. 1. Click 'Documents' on your Navigation Panel. Zoom: 1. &nbsp;Click &quot;Documents&quot; on your Navigation Panel. 2. Click the Folder Icon. 4. Type in the Client:Matter you wish to upload the folder to. 5. Drag and Drop your folder. 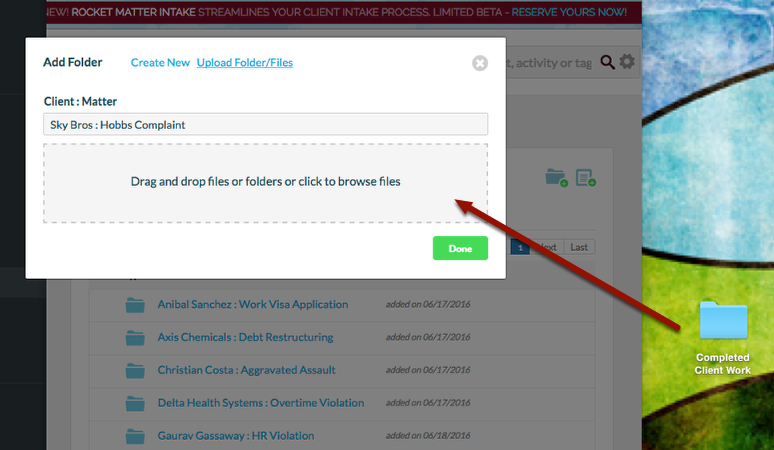 Note: You must Drag-and-drop your folder to the specified area to upload your folder. Folders must be dragged-and-dropped. 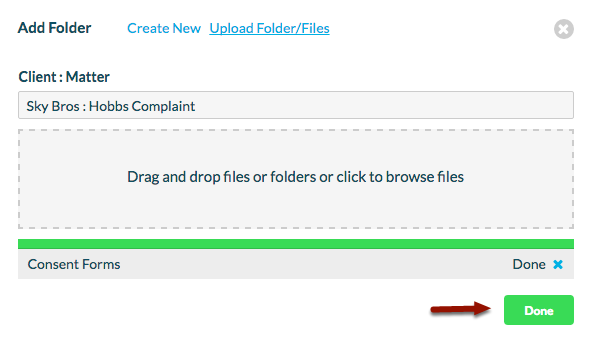 Unlike uploading files by 'browsing and selecting,' You do NOT have the option to 'browse and select' Folders. 6. After the Folder is uploaded, click 'Done'. 7. View the new Folder. 1. 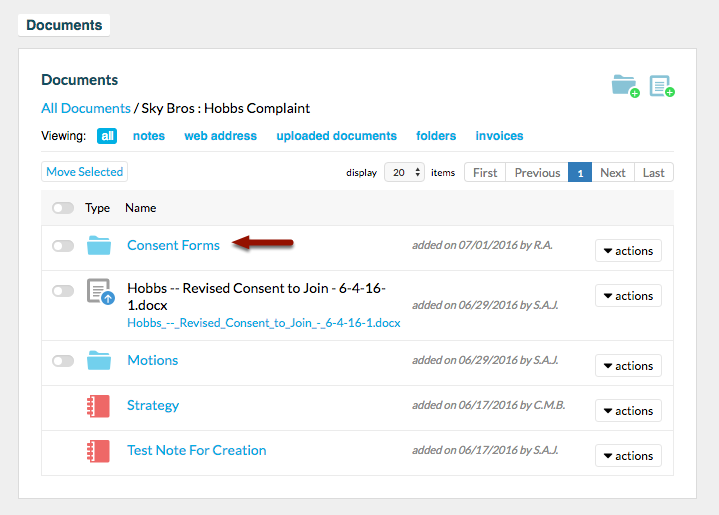 In All Documents view, click in the Client:Matter, and follow the navigation until you view your Folder. 2. 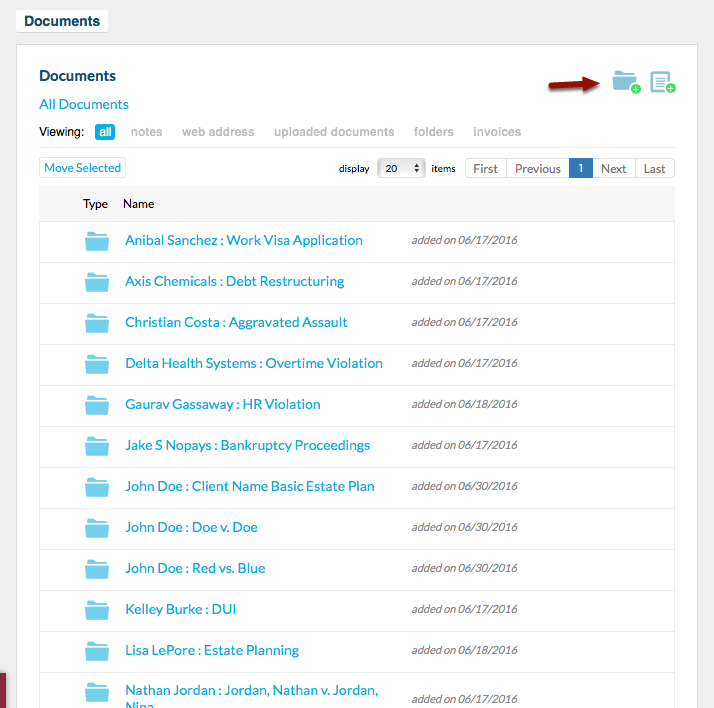 Navigate to the Matter Documents section, and view your folder in the location you placed it. Prev: How to move a Document into a Folder. Next: What file types can I upload into Rocket Matter Documents?